EPW015902 ENGLAND (1926). 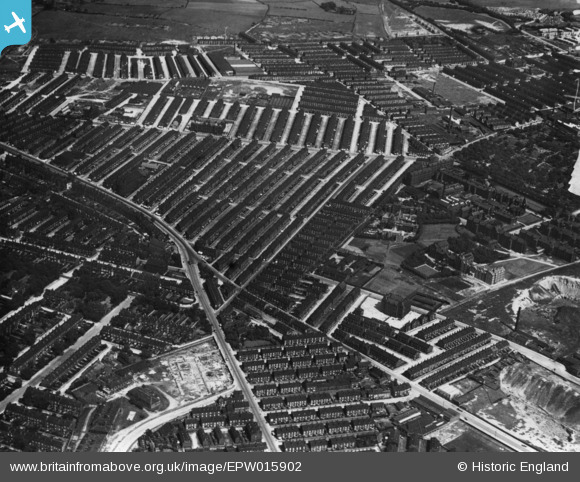 Roseville Road, Bayswater Road and the area around Leeds Committee Public Assistance Institution, Harehills, 1926. This image has been produced from a print. Title [EPW015902] Roseville Road, Bayswater Road and the area around Leeds Committee Public Assistance Institution, Harehills, 1926. This image has been produced from a print. in the sixties known as sparrow park. Leeds Union Workhouse, became St James's Hospital, and is now the Thakeray Museum.